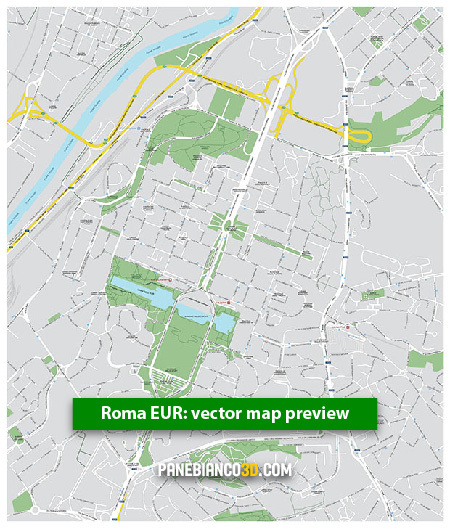 Map of Rome EUR in vectors, made with Adobe Illustrator CS6 for professional purposes: any company, agency or freelancer can buy a license and use this map to accelerate their work. 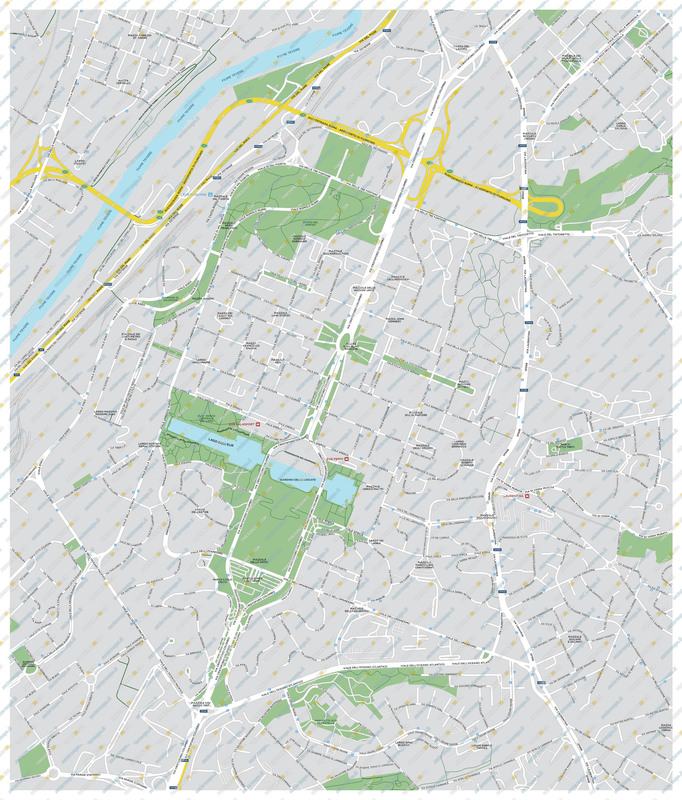 The map is provided with all the texts in Gotham font, available for free in Google Fonts website. all texts uses the font Gotham avialable for free on Google Fonts website.